Edited by Lynne Cooke, Karen Kelly, Bettina Funcke. 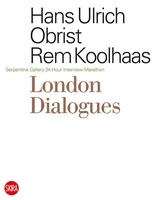 Essays by Lynne Cooke, Jonathan Crary, Russel Fergusson, Boris Groys, Pamela Kort, Bérènice Reynaud, Victor Stoichita, Elaine Showalter, Jan Tumlir and Peter Wollen. Foreword by Michael Govan. 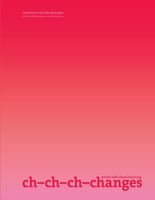 This third volume of collected theoretical and critical essays focuses on Dia's exhibitions from 1998 through 2000. As in the first two volumes, nine diverse contributors are included, ranging from art historian Jonathan Crary and philosopher Boris Groys to film theoretician Peter Wollen, from curator Russell Ferguson to cultural critic Elaine Showalter. 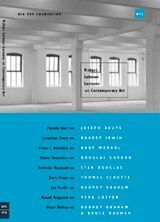 These writers, among others, take on the challenges of illuminating, analyzing, and exploring the work of a disparate group of internationally recognized artists, including Joseph Beuys, Stan Douglas, Douglas Gordon, Rodney Graham, Bruce Nauman and Andy Warhol. 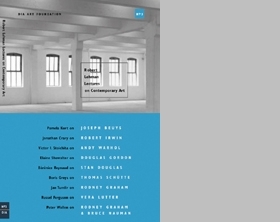 Together, the essays in this book present a broad-based account of contemporary artistic practice, criticism, scholarship and theory.